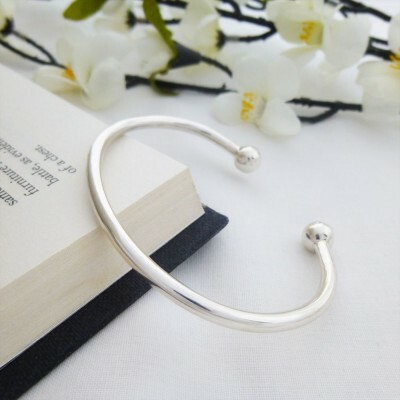 A gorgeous ladies silver torque bangle which has a highly polished finish and is simply stunning on. A beautiful, stylish womens 925 sterling silver torque bangle, perfect for a Christmas or birthday gift for your loved one! Silver Torque Bangles have always been a very popular style of bangle for women who enjoy wearing timeless pieces of jewellery, whilst always keeping up with the latest jewellery trends. 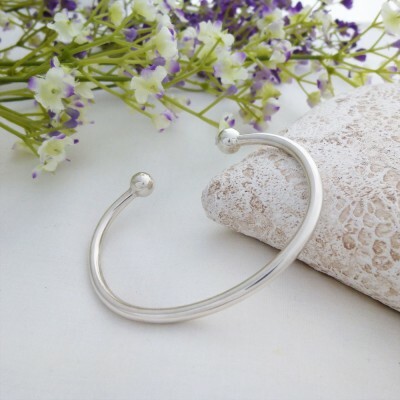 You cannot go wrong with this classic ball style Silver Torque Bangle as it looks perfect with almost any outfit. 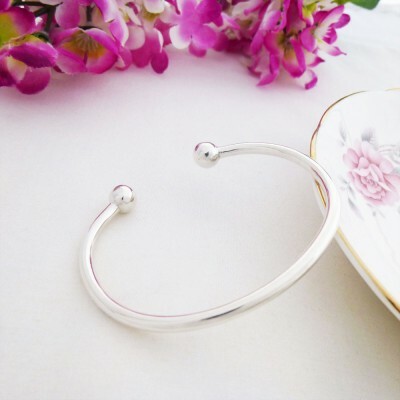 This beautiful ladies Silver Torque Bangle is made out of 925 Sterling Silver and it is hallmarked. A stunning Torque bangle that will make a wonderful present for a special occasion and it comes in a lovely ‘Guilty Bangles’ gift box. You can view similar styles in our Guilty silver torque bangles collection with a range of unique designs from elegant to solid torques and wide cuffs. 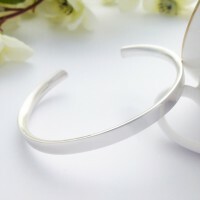 It is an open bangle and is it suitable for most women’s wrists. 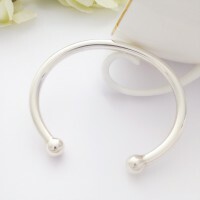 This bangle measures approximately 65mm long.